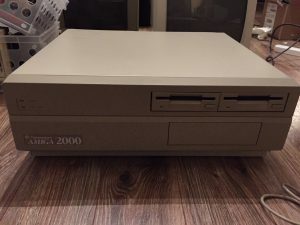 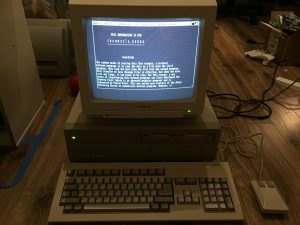 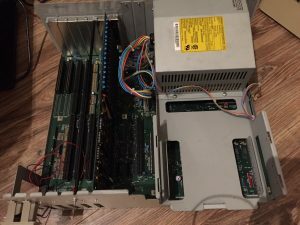 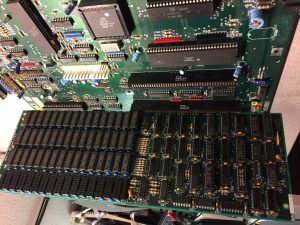 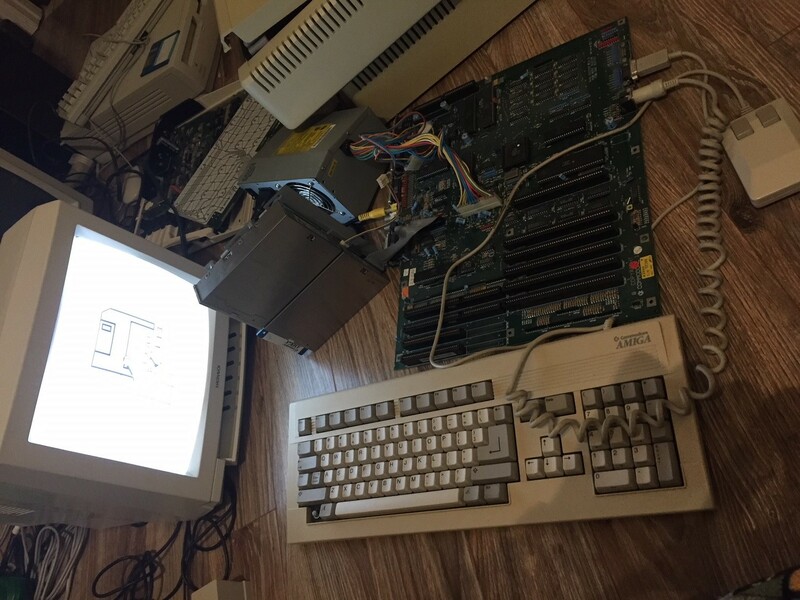 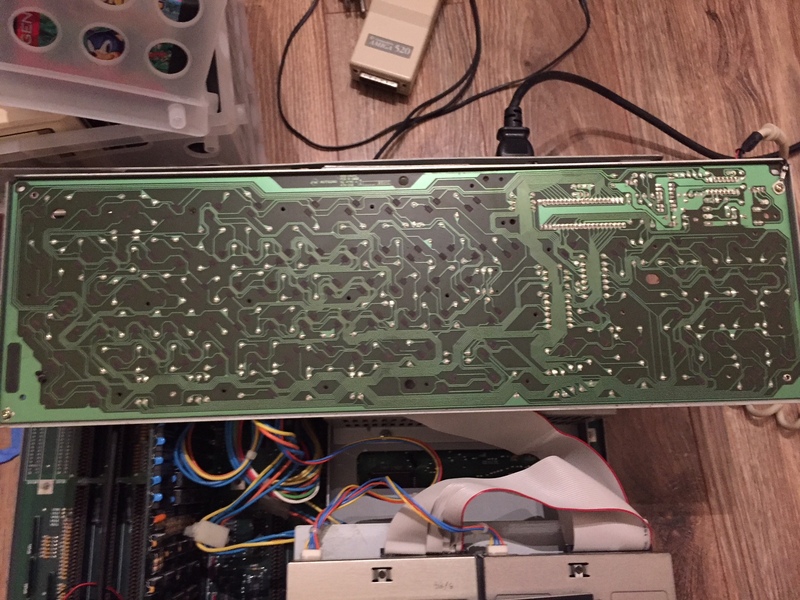 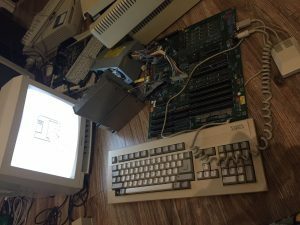 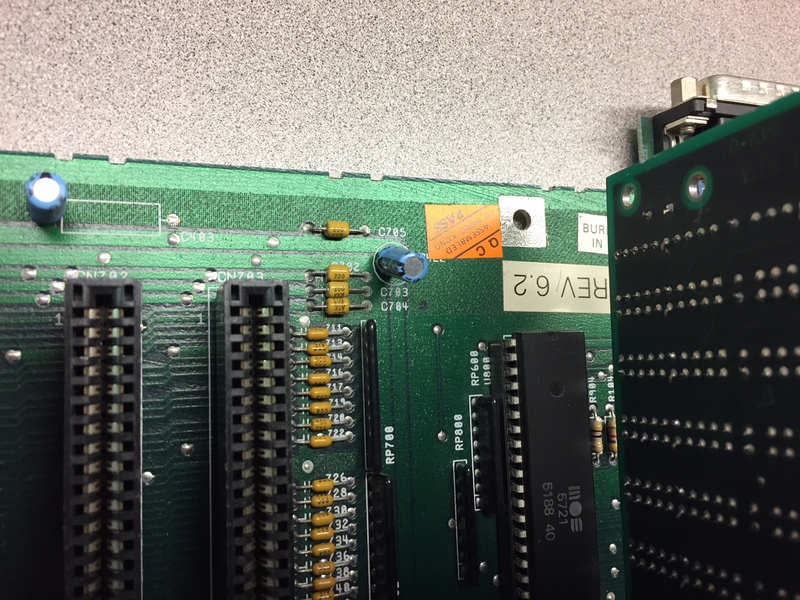 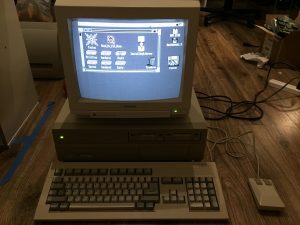 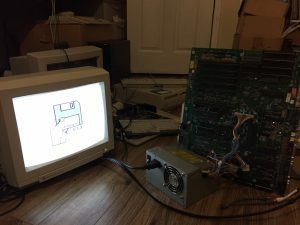 Our Amiga 2000 was generously donated to us by Kazuo Kuroi here in Virginia, and we understand that it was rescued from being recycled. 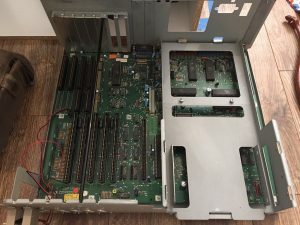 It was in need of some TLC, and you can follow the restoration project below. It is now in good working order and physical condition is also pretty good. 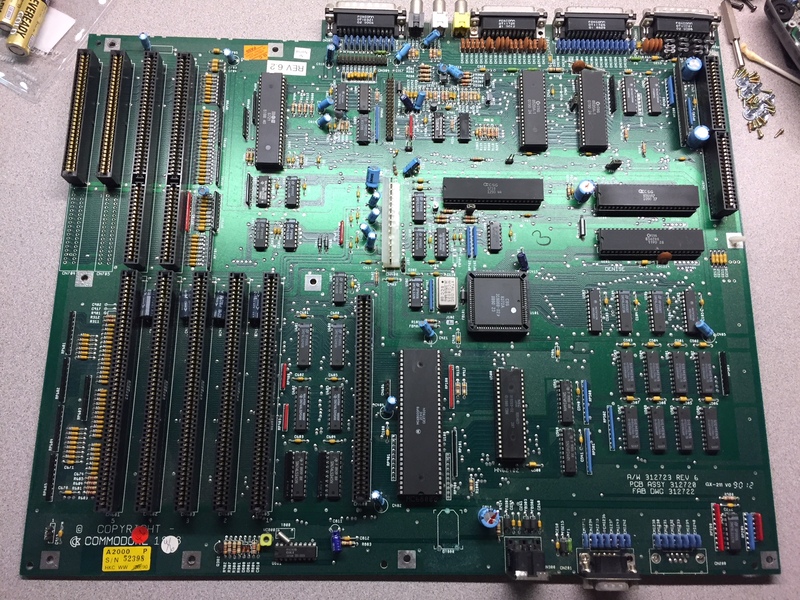 It does include dual floppy drives and 6 MEG expanded memory. As mentioned, this machine was saved from being recycled. 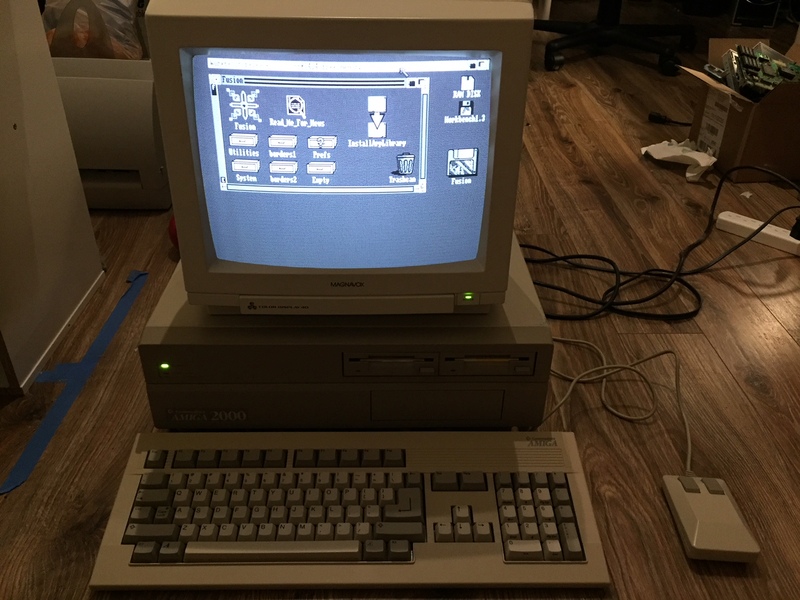 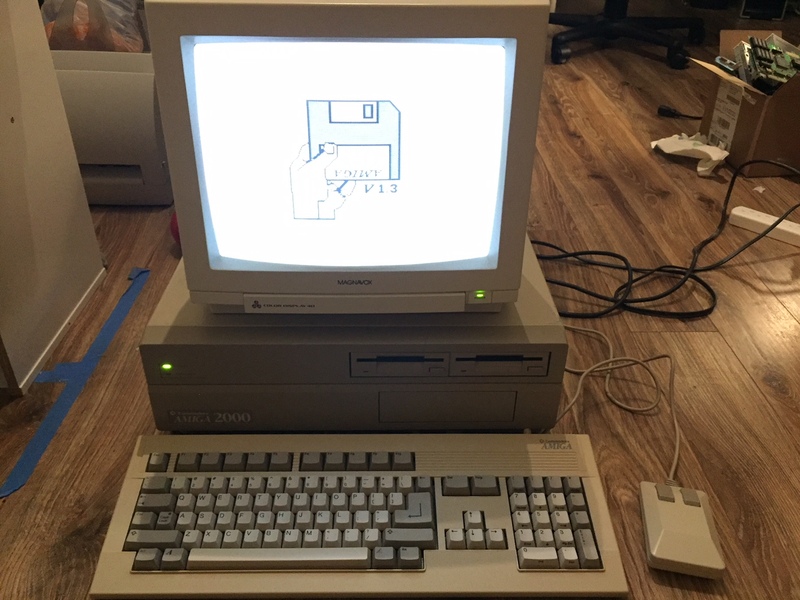 When we received it, there were some bends in the metal case and it was missing a floppy drive and keyboard as well. Upon closer investigation, we also found that this had originally been a European model, as it contained 220V/50Hz power supply. So, the restoration included installing a North American power supply. After that, the system board tested out just fine. Some cleaning was needed, and the second floppy drive was added. The keyboard came from another source, after some very patient searching. 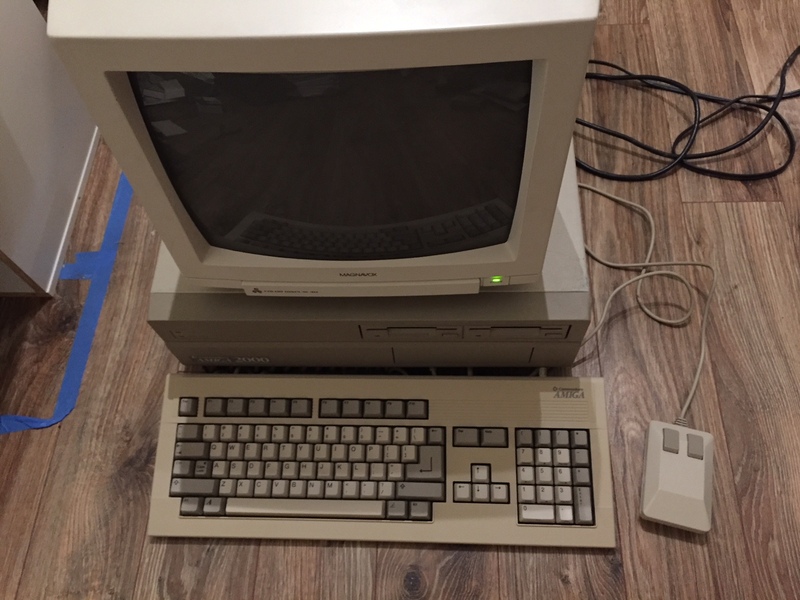 It required cleaning and one replacement key cap but is now in excellent condition.